This module enhances your home page with a special feature – small but important enough to be noticed and appreciated by your visitors. 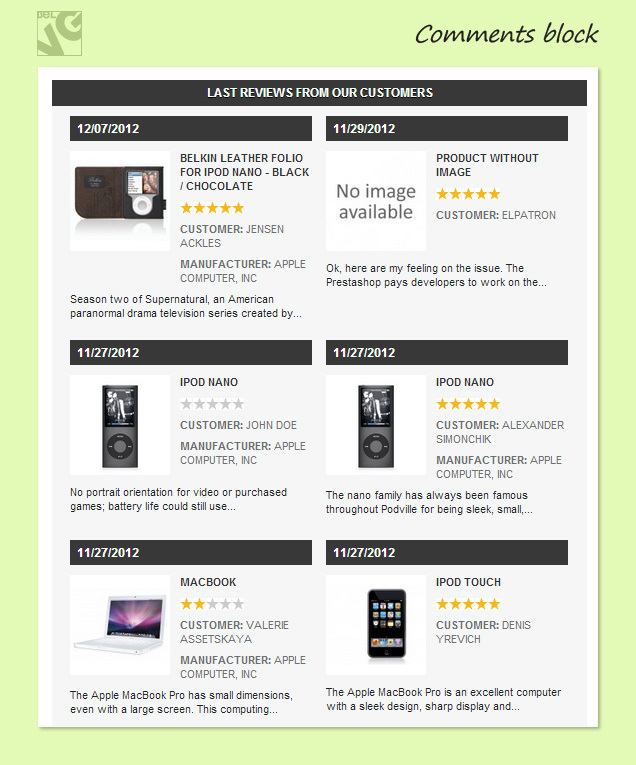 All the reviewed comments can now be displayed in one place, helping your visitors choose the right product. 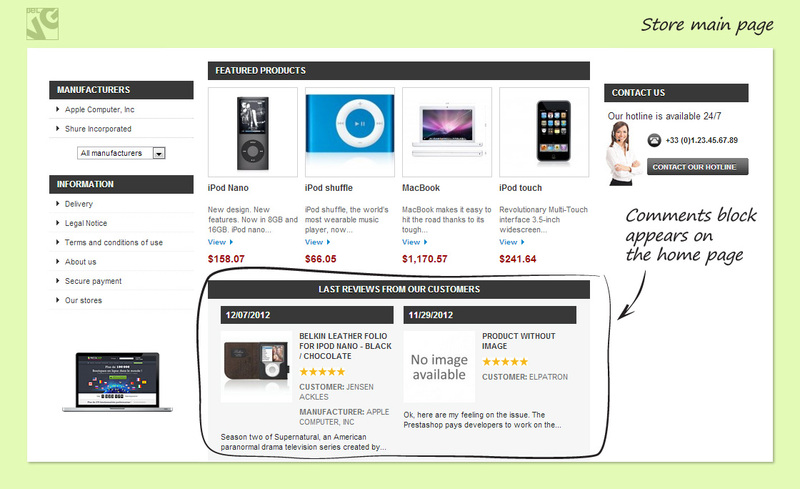 Comment blocks contain item images and links to the respective product pages so that the user might obtain full information and make a purchase instantly. Navigate to Modules –> Front Office Features –> Home Comments -> Configure. In the Number of comments field, enter how many comments you want to be displayed on the main page. This very number of comment blocks will appear. Home Comments block appears on the main page. Visit the demo page or read the user guide to see how the Home Comments works.